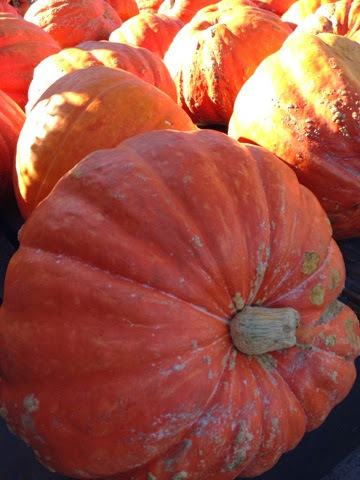 I have been admiring all the gorgeous pumpkins and squashes, as is usual at this time of year. I like your picture here, the way the sun is pouring down like honey ! on the symbols of a rich harvest. This year is different for me -- and just this moment I realize that I need to write a quick blog about it instead of rambling on here on yours. Thank you for sharing!